Now, because this barn door would only fit baby animals, I am calling it a hayloft barn door. I used five wider (5 1/2") pallet boards in the length they came (40 inches) and secured them with two skinnier (3 1/2") horizontal boards attached at the top and bottom. 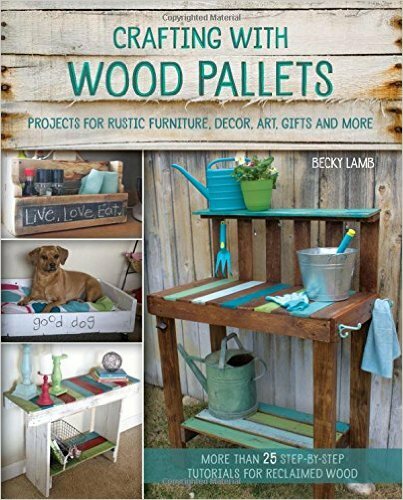 Use the PALLET BUSTER to get those pallet boards off--so easy! I then added a diagonal board. I just place the board where I want it and pencil out the angle and then cut accordingly. I drilled through the front and let the screws show because that is how authentic barn doors are made. I painted it pretty sparsely with red latex paint. 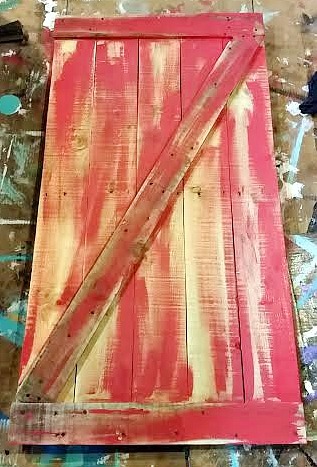 After painting the door, I distressed it using the claw of a hammer, nails, and a chain (great if you have any aggression you need to get out). I then stained the whole thing, front and back with Early American Minwax stain. I also added two old hinge halves I had. You could age a new hinge with vinegar, hydrogen peroxide, and salt. 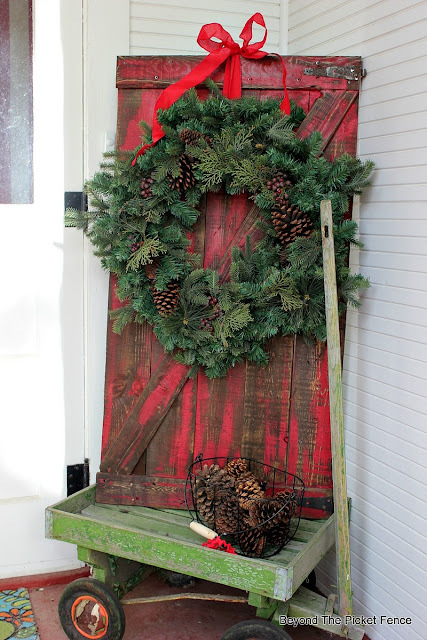 If I had a fireplace mantle, I would so prop this barn door up on it with a wreath for the holidays. But, it is equally as adorable on a porch or it would be cute propped against a wall with the stockings hanging off of it. 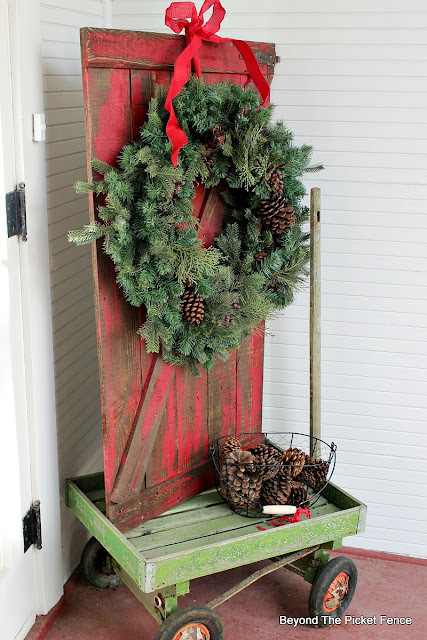 It adds a great pop of color and a rustic feel to your Christmas decor. I love the aged "authentic" look of the barn door. Great job. looking forward to the rest of the "Days of Christmas." Let the fun begin, I love this first project. I'm in love with old barns and even have a pinterest board dedicated to my fascination with these magnificent structures. Looking forward to the next project. I love it! How very DIY creative! 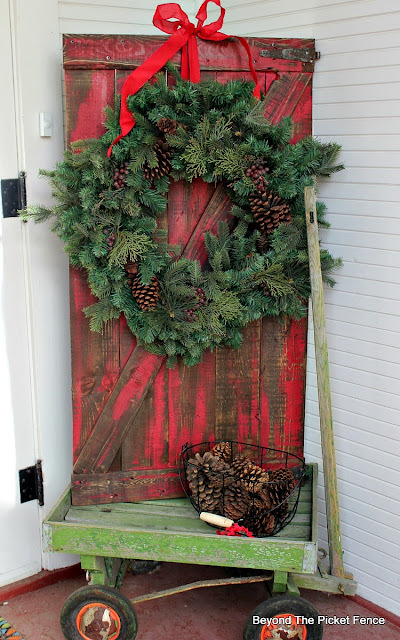 The rustic chic of the barn door is fabulous - Country Christmas!!! 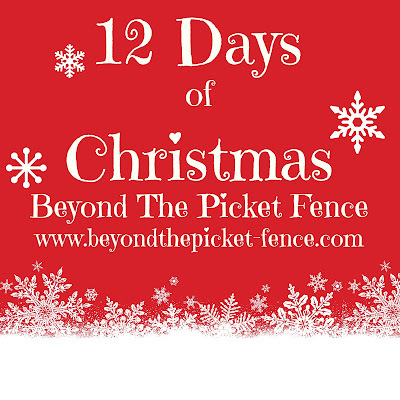 I can't wait to see what else you bring to us with your 12 days of Christmas postings!!! This is the best! 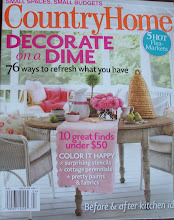 And it does look like it was off a barn, not faux! Great work, thanks for the inspiration! I love, love, love this Becky! 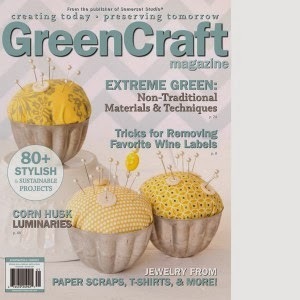 Oooohhhh, wonder if I could get hubs to make one of those for me, would go up on shutter shelf. He did make a gate for me while back, is still hanging over our bed, hang all kinds of things on it, depends on mood, season. My p/t wanted to buy gate when she was coming after my shoulder replacement last Dec. First time she saw it she asked where I'd gotten it. Told her hubs made it, wouldn't buy something like that. She liked several things in house hubs had made. Your door sure looks like it came off a barn, love texture and paint job you gave it, awesome. Great way to display.